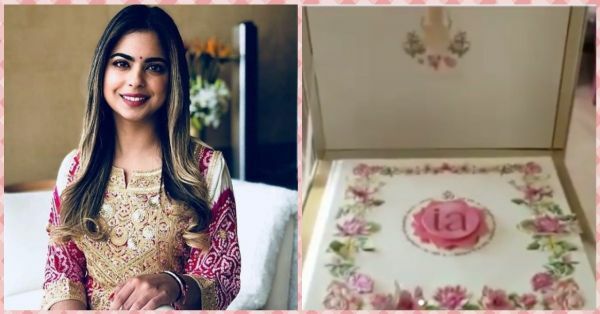 Isha Ambani’s Wedding Invite Is Worth 3 Lakhs And It Includes A Handwritten Note! Isha Ambani and Anand Parimal's wedding has been the talk of the town ever since it was first announced. The couple flew their closest friends and family to Italy and had a grand Lake Como engagement. Yep, the same one where D&G did the decor and John Legend performed his iconic song All of Me. Now that the wedding is around the corner, Isha and Anand's wedding invite is here and oh boy, it's super fancy. It is reportedly worth rupees 3 lakh but if your surname is Ambani, you obviously spare no expense when it comes to a wedding in the family. 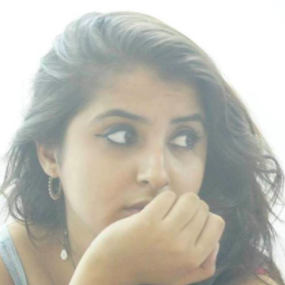 Videos of the wedding invitation box are doing the rounds on social media and we're left gaping. On top, there is an 'IA' motif for Isha and Anand which then opens to a letter handwritten by the bride herself. It also has a detailed itinerary for the functions which are to be held in the palatial Ambani mansion. The note is an ode to her grandparents who are her biggest role models. The bride and groom miss their grandfathers dearly and remember them- Motapapa Dhirubhai, Nana Ravindrabhai, Dada Gopikishan Piramal, and Nana Niranjan Shah. They also feel blessed that all four of the grandmothers are there to witness their holy union and shower them with blessings and love. To honour them, Isha and Anand have dedicated a flower to each of their grandmothers – the Lotus to Kokila Mummy, the Hibiscus to Purnima Nani, the Rose to Lalita Dadi and the Frangipani to Arunika Nani – symbolising virtues of purity, positivity, passion and prosperity. A couple of days earlier the video of a wedding favour surfaced on social media and it was every bit royal. The musical box opened to the tunes of the Gayatri Matra and featured idols of God. The wedding is set to take place on December 12th and it's going to be one lavish party. For the latest scoop, stay tuned coz we'll have it all.